I went and saw Minions on the weekend with Josh, because we both enjoy animated movies, and we seriously loved both Despicable Me movies. This movie goes back in time, back when dinosaurs roamed the earth and the more little minions begun their search to find the most despicable villain that they can serve. But things never seem to go as planned. After settling and believing they'll never find a true villain to follow their lives become dull. So three brave little minions Kevin, Stuart and Bob, set off on their own mission, to find the evilest of them all! Their venture takes them all the way to Orlando, Florida, right to an underground convention. Villain Con. At the start of the movie Josh and I were a tad unsure how it was going to go, seeing as the main characters do not speak english. Instead they speak a form of Minionese which is basically gibberish with random words in other languages thrown in, some words are in English. But this was not an issue, the minions are very visual characters, and there is plenty of story development through the voices of the narrator and the human characters. We both found the film incredibly enjoyable for an animated movie, which we pretty much always like anyway. But still different from the Despicable Me franchise that we all know and love. If you like this type of movies though then I would definitely recommend. The minions are the cutest evil henchmen you will ever come across. Do you like animated films? Do you want to watch Minions? I've never been a huge fan of minions, so I'm not sure I'd actually go out and see it. I'd definitely watch it on YouTube or something though! I've actually been wanting to watch this one for a while now, since the early trailers were released. So glad to know that it's enjoyable and fun! I really want to see this movie! 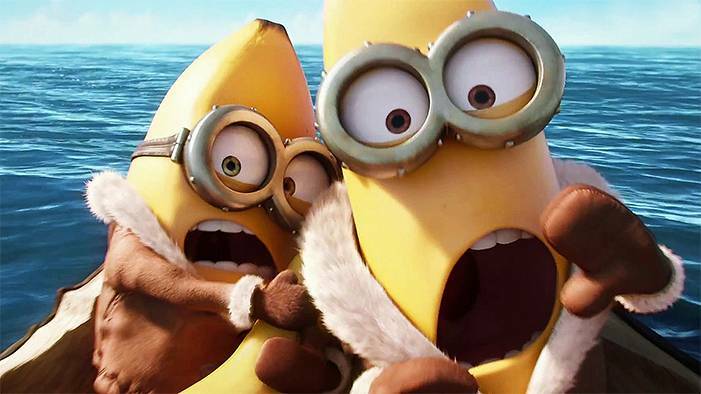 The minions are awesome and guaranteed to make you laugh! Animated films are my favourite!! I'm really looking forward to watching minions, I probably won't see it at the cinema though. I really enjoyed Despicable Me, but thought the sequel was pretty boring. Maybe this one will be better. 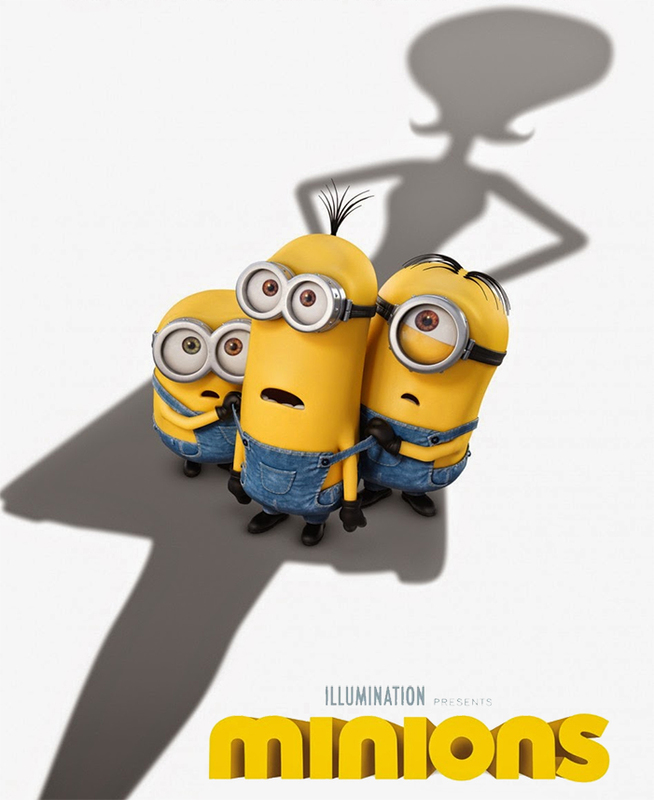 I have a soft spot for the minions, so will have to definitely go and see this. They're so adorable! I really like animated movies, but actually haven't seenn Despicable Me yet, defo on my to-watch list! I must admit I'm not a huge minions fan, and haven't seen either of the despicable me films, but my boyfriend loves them so we'll probably end up watching it! I saw this film and I don't think it tops Despicable Me but I really enjoyed it! Oh I loooove the minions! I can't wait to watch the movie! The previews looked really good. I'm not head over heals over the minions but I think they're quite adorably funny :) so I'm kind of looking forward to how the movie goes. The minions were definitely the best part of Despicable Me. Villian Con sounds hilarious! I havent seen it yet but totally want to. I work at Build'a'Bear and have to stuff minions for overly excited kids 24/7 so I'm so curious to see what all the hype is about! So in love with this!!!!! Thank you for such am amazing giveaway!! Sooo adorable! Please stop by my blog for my latest post! I went to see it too and it is so cute and funny loved it! To be honest, it doesn't quite feel like there's enough plot or story to sustain this film.